RTÉ: Full statement on "two very serious editorial failures"
Director General of RTÉ, Noel Curran. RTÉ TODAY PUBLISHED two documents which they have created in the wake of the PrimeTime Investigates and Frontline controversies. One is a new set of journalistic guidelines for its staff and the other outlines a restructuring of its current affairs department. 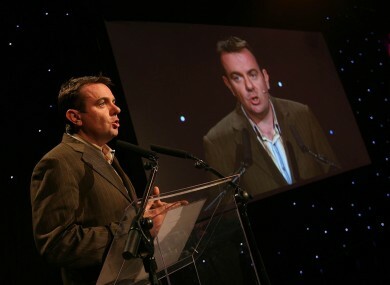 OVER MANY YEARS RTÉ has earned and retained the trust of its audiences through great programming and an adherence to very high editorial standards. Nowhere has this been more so than in Television Current Affairs, where time and again current affairs programming has made sense of the events shaping our daily lives and shone a light on some of the darkest aspects of Irish life. The very serious editorial failures made in two important current affairs programmes in the past number of months, and their consequences, have rightly caused RTÉ to review and reflect on all of its editorial policy, practices and values. That process will continue for some time. These errors and failures of action have presented many challenges to many people in recent months, not least to those who were directly affected by them. But they have also caused concern and anger both within RTÉ and among our audience, the general public, whose trust in our organisation has been damaged. I indicated a number of months ago that RTÉ must always be open and honest when we get things wrong. We will make mistakes. Programme-makers must be and will be supported in making challenging programming but the standards we set for ourselves as the national broadcaster must be very high as I know they are in so much of what we currently do. We must learn what we can from mistakes we make and make changes if necessary. This is part of being accountable and is essential to public trust and public support. The publication of these new structures and guidelines is, we hope, a step in the right direction in this regard. The range of measures in this document represents RTÉ’s determination to make our journalism stronger, fairer and more transparent. Far from backing away from difficult investigative journalism, we are committing to enhance it, modernise it and make it more accessible across all our services. These new measures will mean little unless they are embraced by all editorial staff, and acted upon in all the thousands of editorial decisions we make every day. They will only work if programme makers from the most junior to the highest level clearly understand and accept their responsibility and their role in rebuilding RTÉ’s reputation for very high quality journalism. Most of all though, it is through great programming that we will rebuild trust with our audiences. Because not alone do are audiences expect us to be accurate and fair, they also expect that we do not lose our nerve – that we continue to challenge, to probe and to ask the tough questions in the public interest. I trust everyone will play their part. Email “RTÉ: Full statement on "two very serious editorial failures"”. Feedback on “RTÉ: Full statement on "two very serious editorial failures"”.